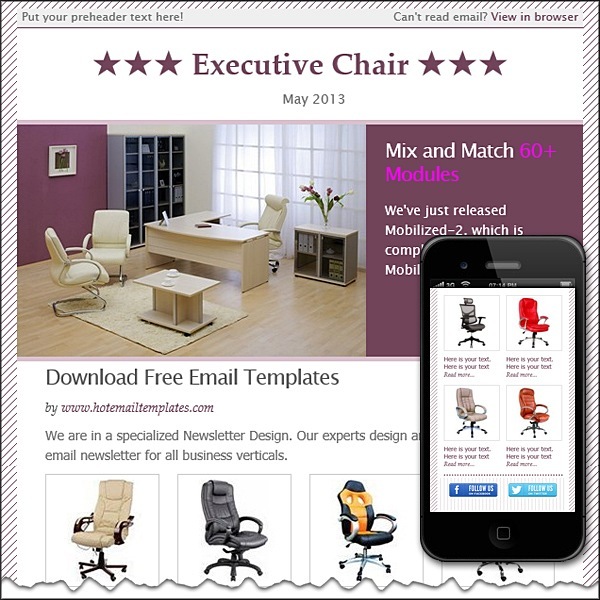 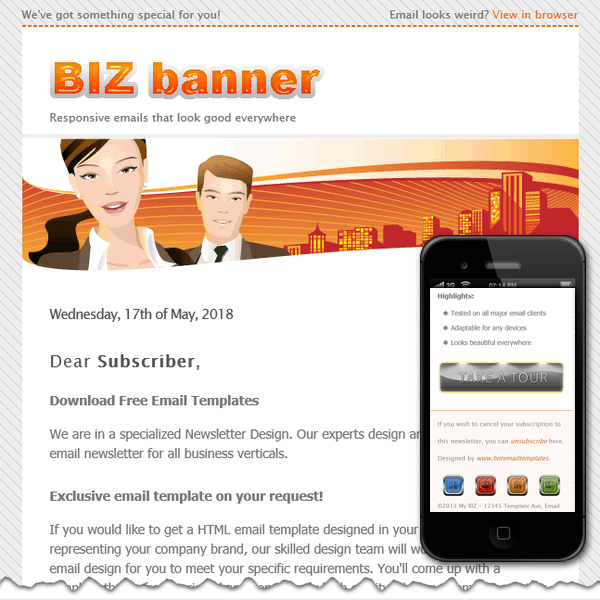 Use our FREE HTML email template to create nice looking and elegant email newsletters. 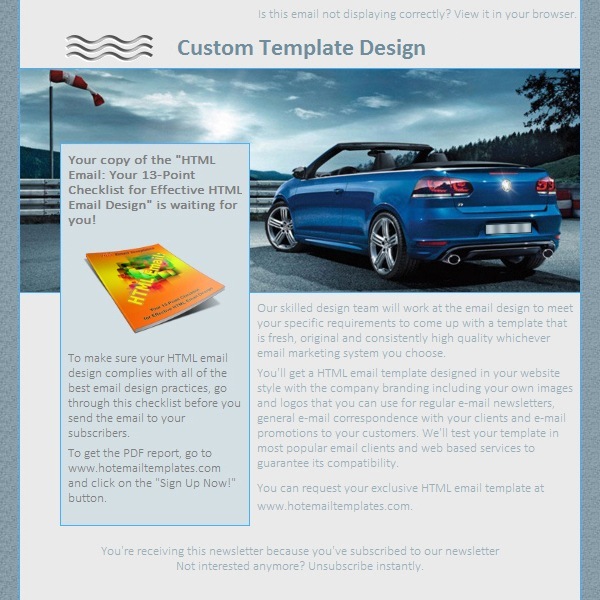 With this professionally designed HTML email template you can give an attractive and eye-catching look to your messages that your recipients will appreciate. 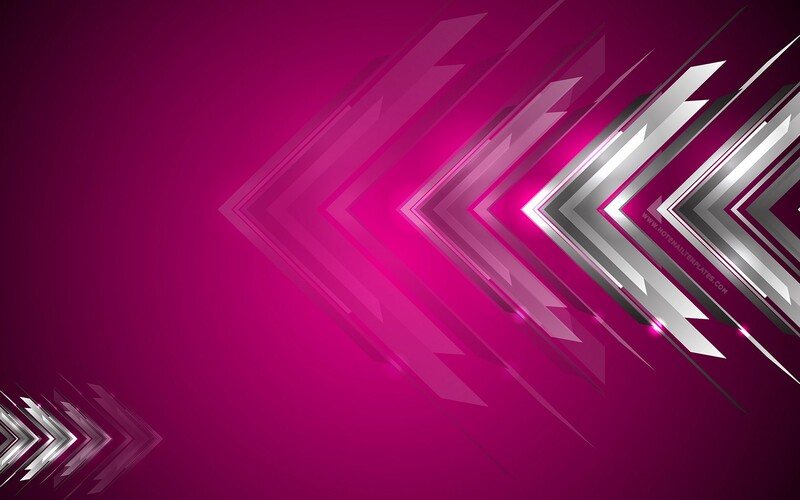 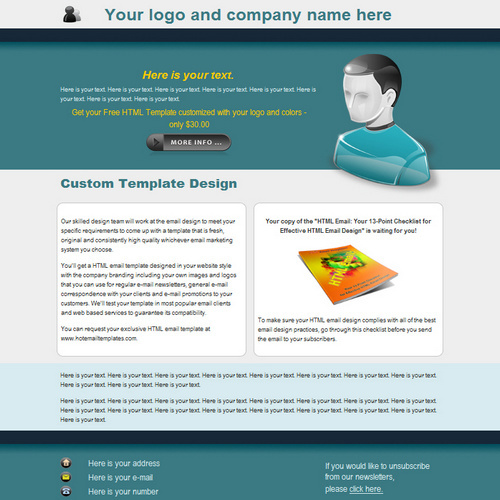 We are constantly enriching our FREE HTML Templates collection with new designs so you will absolutely find one to suit your taste. 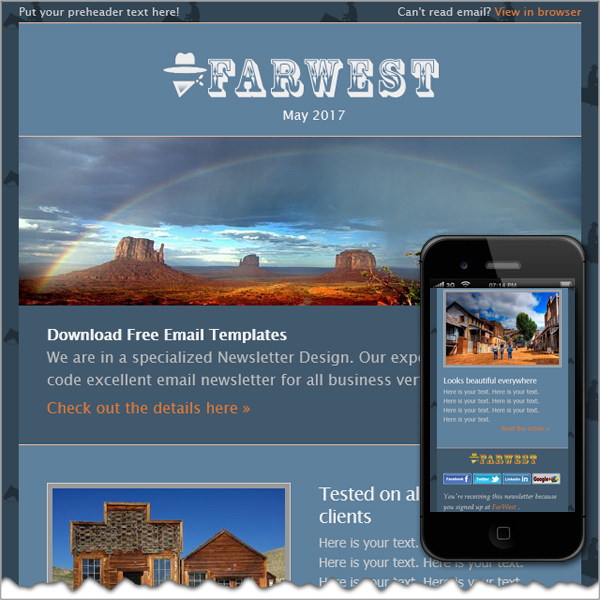 Just choose HTML email templates from our free collection and breathe new life into your email newsletters. 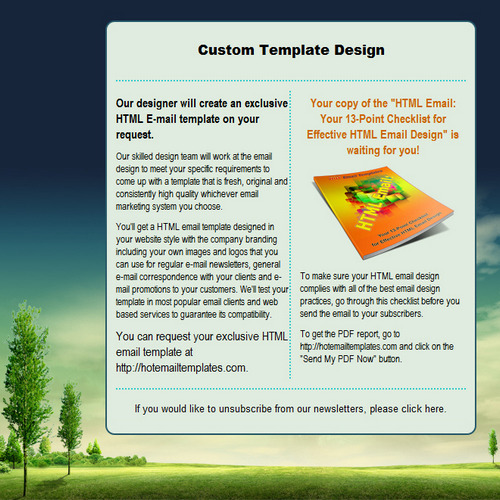 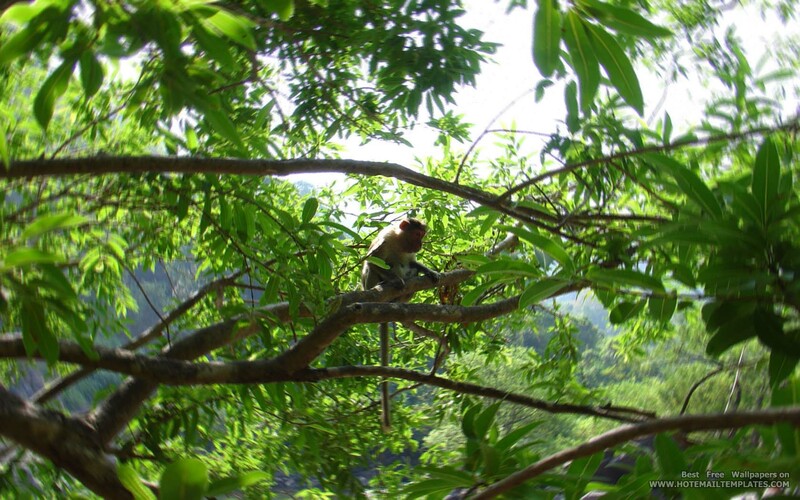 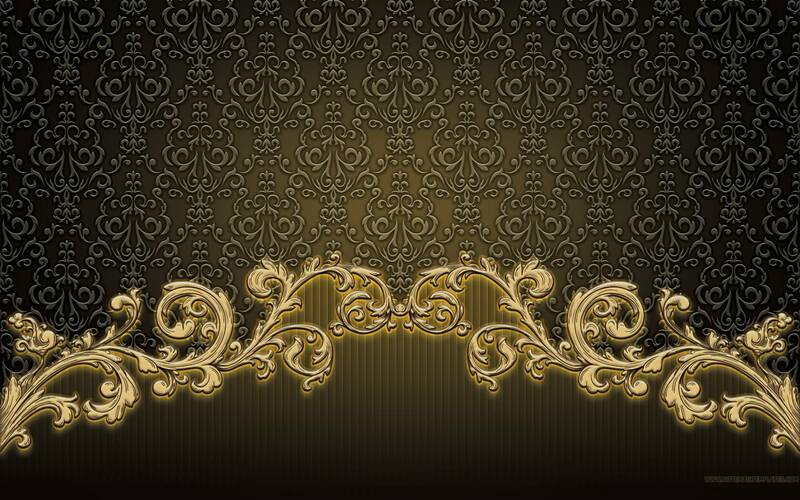 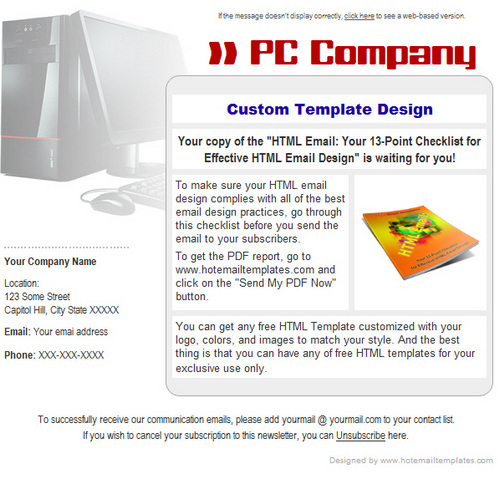 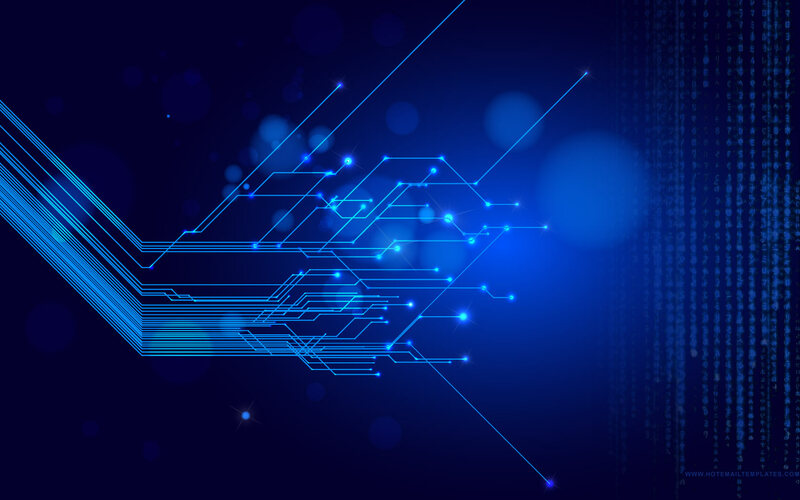 Click here to read how to use the template in order it displays properly in email clients.